Is Your Horse a 900 Pound Weakling? 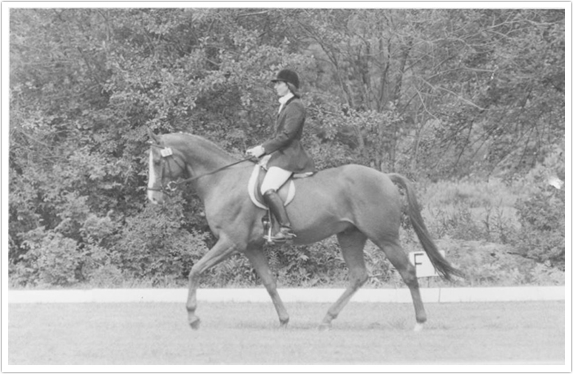 You Can Transform Him into a Strong Athlete With a Beautiful Topline Starting Right Now! He’s had time off due to either you or him being laid up. You haven’t been able to work him consistently because of the weather, work, or family commitments. He came into your life after years of incorrect schooling and working “upside down”. He’s an older horse who needs to stay athletically young and vital. He’s an OTTB or has been ridden in gadgets and has developed the wrong muscles. 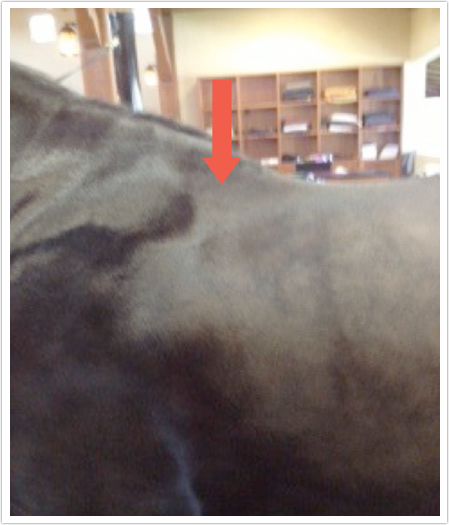 You just don’t know exactly what to do to build his topline. In this program, I’m going to walk you step by step through a case study I did with my Moshi to rebuild his topline over two short months. I think you’ll find it encouraging that even at age 18, I could bring Moshi back from looking dead lame to comfortably being able to do everything in the Grand Prix again. Now with Moshi, I was able to make these startling changes so quickly because I was rebuilding pre-existing muscles. 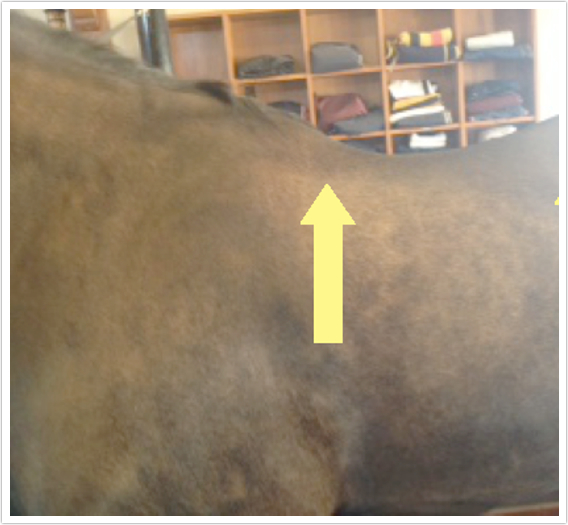 But this system works even if you’re dealing with a horse who has never had the right muscles. 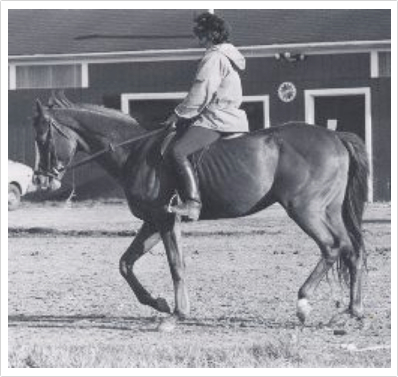 Take a look at my first OTTB, Happenstance. Since “Happen” didn’t have the right muscles to begin with, it took us a bit longer than it did with Moshi. But the remarkable transformation you see in the pictures below took place within his first year of training. “I want to let you know how much I have enjoyed and appreciated the “Topline Program”. It is so frustrating riding without a coach for months at a time. 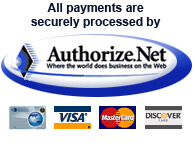 You can get the entire program for just $247. AND if you want even more individual attention from me, I’m also offering 1-on-1 coaching, through the Topline Pro Package. In this package, you’ll get everything in the Basic Package PLUS three 1-on-1 private coaching sessions from me. For those private sessions, you can send in videos of your horse, and we’ll work together to design the best possible program for your horse. 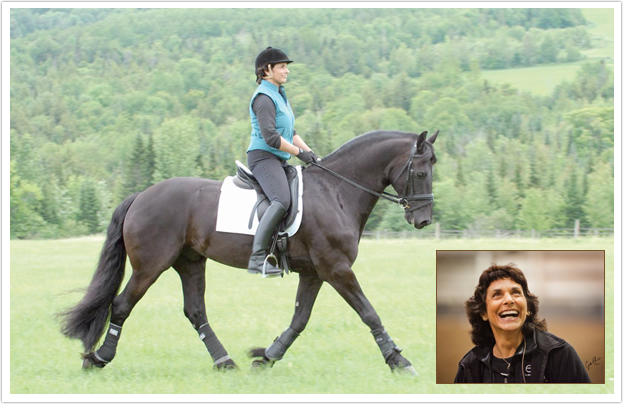 I normally charge $250 for one private coaching session, but now for a limited time, you can add three private sessions ($750 value) to the Build Your Horse’s Topline program for just $350. No waiting for anything to arrive in the mail. You can download everything instantly!